And she’s pushing big national policy proposals, including anti-corruption legislation, which she introduced in August. That initiative is the focus of one of her political spots in which she casts herself as the would-be sheriff who wants to clean up Washington. “The bill has six big ideas to take back our government from the wealthy and the powerful,” Warren says in the ad. Among her proposals, Warren would impose lifetime lobbying bans on presidents, vice presidents, members of Congress, federal judges and Cabinet secretaries. The bill would also require presidential candidates to make their tax returns public, which is something President Trump has never done. “Things are worse with Donald Trump in the White House. This is the most corrupt administration ever,” Warren told WBUR in a phone interview Friday. But she said corruption in Washington predates Trump. “The problem is in the structure — it’s how money influences this place, and how the wealthy and the well-connected get their way over and over, while everybody else gets left behind,” she said. Warren has spent much of her career focused on corporate corruption. As a senator, and now as a possible presidential candidate, she’s taking on political corruption. “It’s a wining issue for anybody who believes it,” says Bill Curry, a former White House adviser for Bill Clinton who is now raising money to build a grassroots movement to fight public corruption. According to Curry, Warren is right to make this the focus of any potential presidential campaign. 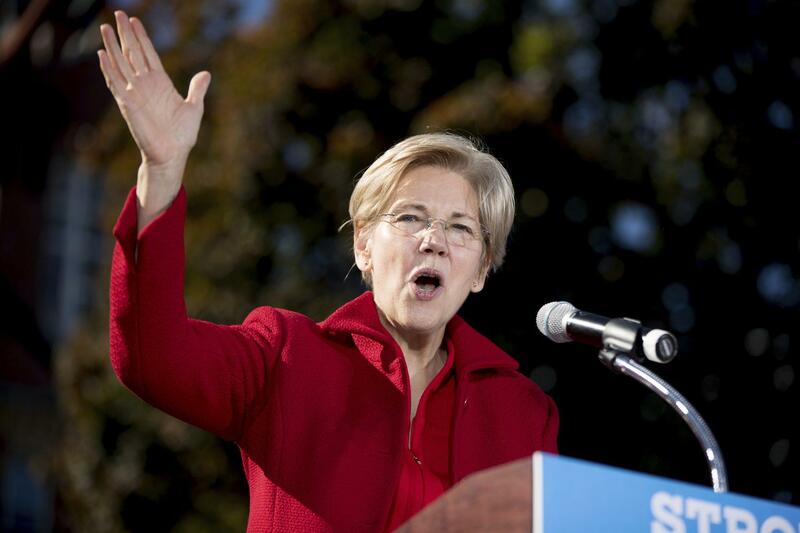 Peter Ubertaccio, a political scientist and dean of arts and sciences at Stonehill College, says Warren’s anti-corruption initiative is a smart way to reach voters disillusioned with Washington. But Ubertacio says that in other ways, Warren is not an ideal presidential candidate. “She is going to bring some negatives to the table,” said Ubertaccio, who points out that Warren is not hugely popular nationally. “She will be characterized as an elite, out-of-touch liberal professor,” all of which could undermine her populist message. Geoff Diehl, the Republican state representative who is running against Warren, has been arguing for months that she is more interested in the White House than Massachusetts. He says her announcement in Holyoke only proves his point. That’s not likely. Warren is expected to easily beat Diehl. 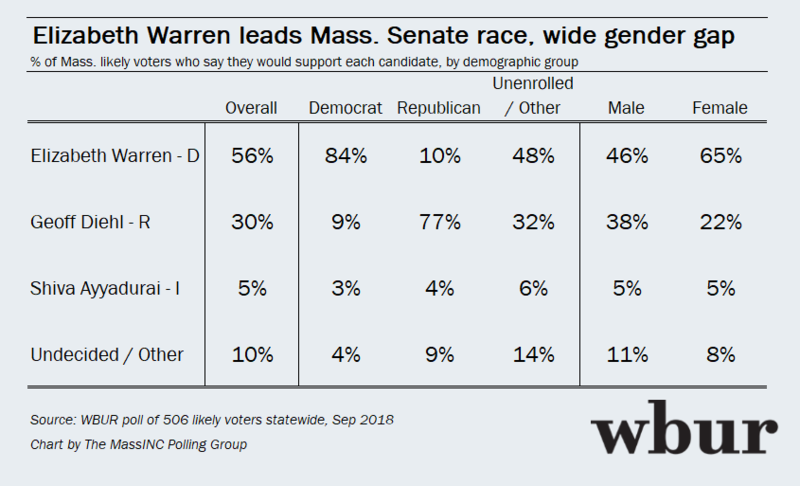 A recent WBUR poll showed Warren leading her Republican challenger by 26 points. Independent Shiva Ayyadurai trailed 25 points behind Diehl. But a recent Suffolk University/Boston Globe poll found that 58 percent of Massachusetts voters say she should not run for president. Warren may be popular enough to win a second term in the Senate, but voters also recognize that running for president would be a lot more complicated. Six weeks out from Election Day, U.S. Sen. Elizabeth Warren appears in strong shape in her re-election campaign.